Top Rack Marina is a waterfront facility located on a 15-acre parcel adjacent to the Southern Branch of the Elizabeth River. 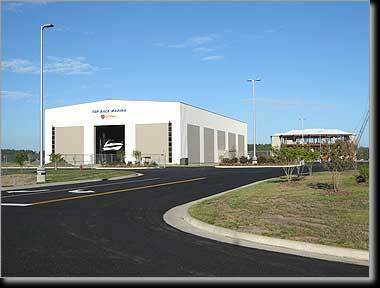 The project includes three 49,000 square foot dry storage buildings, a three story building housing the harbormaster office, convenience store, and restaurant with banquet facilities, and a marina service building containing boat service, boat sales, and marina supplies. 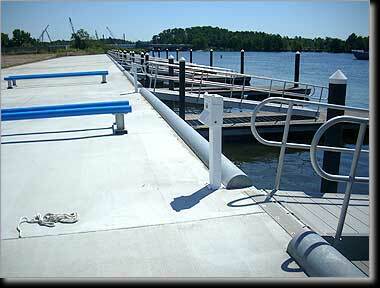 The waterfront includes steel sheetpile bulkhead with 30 floating slips, fueling facilities, and marina pumpout. Langley and McDonald is responsible for original planning, permits and site plan design including utility connections to the building, grading, drainage, stormwater management, traffic improvements, and parking. The design also includes a new 310 GPM city sewage pumping station with 9,000 feet of 8" forcemain to serve this project and other adjacent properties.